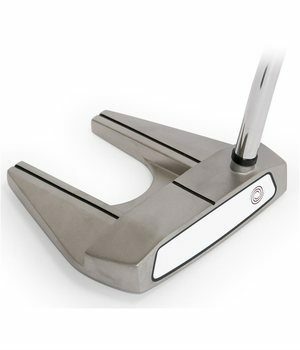 The Odyssey White Hot Pro 2.0 7 is a mallet style face balanced putter that will enhance stability off the face and give you a much more consistent ball roll off the whole face. Odyssey have used the White Hot insert for years but the Pro 2.0 version has been engineered in such a way that it makes the speed of which the ball comes off the face extremely consistent across the whole face. So the combination of the amazing White Hot Pro 2.0 insert and the high stability mallet style make this the putter that will help you make three putts a thing of the past. This head shape is used by some of the best putters in the world (Luke Donald and Henrik Stenson) and if it good enough for them to use then this should definitely go into our golf bags.